Keep this retro design wherever you fuel up as a reminder that a refill is always a good idea. Is there anything more comforting than knowing your favorite diner is open 24/7? 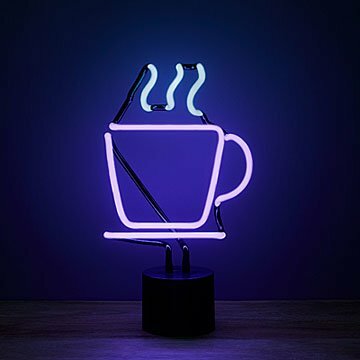 Keep this purple and white neon design on your kitchen counter—or wherever you fuel up—as a reminder that a refill is always a good idea. Made in China.